They have a massive range of bracelets, necklaces, rings, anklets, cuff links, navel bars & even gemstone bling up your phone too. 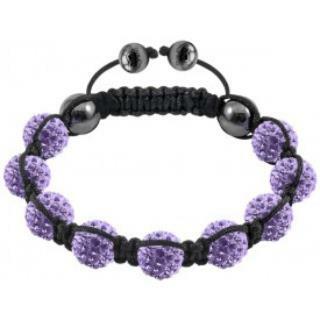 So how did Tresor Paris begin ?? The renowned niche boutique Hasbani, located in the heart of London’s diamond district “Hatton Garden”. Popularly famed for their wholesale of diamonds, created a reproduction of their Parisian inspired bracelets in a more affordable way for everyone. 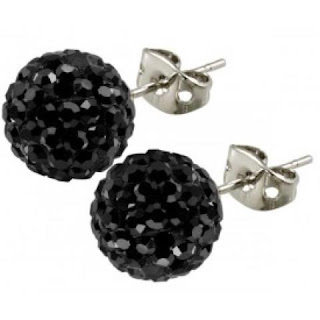 Thus eventually leading to this exquisite Crystal collection, Tresor Paris. Maurice Lousky and Sam Hasbani created a brand that bridges the gap between diamonds and luxury fashion jewellery. Maurice spent most of his childhood in Paris working in his family’s diamond business. Maurice’s entrepreneurship was visible from the ripe age of 15, showing through his various investments, it was then very obvious that it would not be long before creating his own empire. From his early leadership in the family diamond business, to his current leadership, to this new brand Tresor Paris, which has been inspired by his appreciation for the beauty of his home city. With emphasis on high quality, Tresor Paris biggest success is, creating a unique style of elegance mixed with a touch of boho. 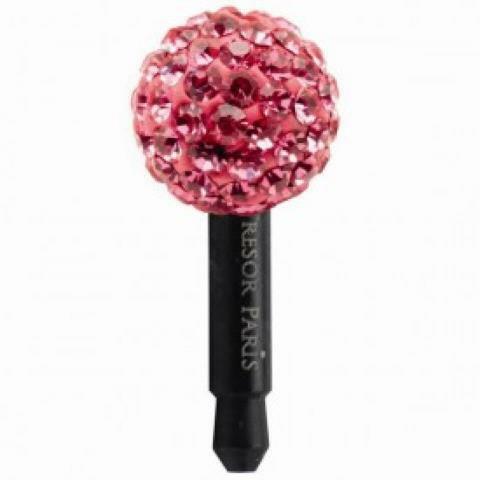 Tresor Paris appeals to everyone, whatever their age. In May 2011 the brand launched a chic children’s collection; Little TP is in line with its rule “for everybody, without exception, from 7 to 77″. Also in the pipeline is Tresor Paris’s move into watch-making and many other fashion projects. Tresor Paris one company that has there fans on there side with there massive new Friday Competition is now allowing a lot more people to have a chance in winning last week there was a whopping 7 different winners! Have you all saw the fantastic competition over at find me a gift?? 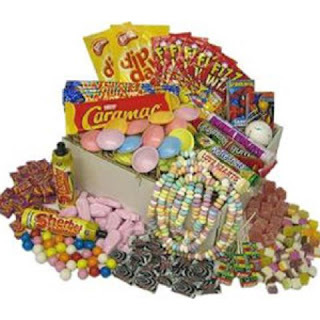 A huge box of retro sweets with all your childhood favourites! You need to do at least one of the options in the entry box, the more you do, the more entries you gain. Complete all the tasks for a fabulous 8 chances to win! See here for the rafflecopter form to fill in!! GNappies I was utterly thrilled to be able to test out gnappies, as you all know I've been converting over to the cloth nappy world. Breathable, eco-friendly nappies. Choose plastic-free biodegradable nappies or reusable cloth nappies with little gPants. Babies stay dry and are far less likely to get nappy rash. gNappies have no elemental chlorine, no perfumes, no smell, no garbage and no guilt. In fact, our gRefills are so gentle on the Earth you can even garden compost the wet ones in one compost cycle, approximately 50 – 150 days, certified 100% biodegradable!!! There sort of a mixture of cloth & disposable rolled in to one but friendly to the planet. Did you know it can take a normal disposable nappy nearly 500 years to decompose?? Shocking really when you can go though 4-10 a day isn't it? After emptying the parcel and reading all the information on them. I followed the simple instructions i pulled out the nappy cover Earth day called little gPants that do up with little Velcro tabs. slipped in a nappy insert which is made of soft microfleece and hemp cotton, then we was ready to roll. It was easy to put the Earth day nappy on and I loved the non bulky bum effect. I actually kept the nappy on for long as I could too before I changed it! I happy to say it lasted over five hours which is amazing compared to the three hours I'm getting at the moment! They have lovely plain gpants and some funky prints too, love the girly-twirly! I pulled my OH in too to see what he thought and he prefers them to the brands we are using now. The only worry i have is buying the pads for them, as my point of changing to cloth is too save some cash too. Pop over to the www.gnappies.co.uk website to find out more information. With the Jubilee fast approaching there’s never been more reason to celebrate being British. Clarks kids shoes have created a summer jubilee collection with a range of beautiful shoes for those long, sunny British days! 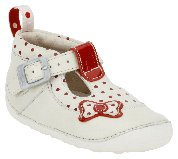 Available in a range of red, white and blue, these pretty shoes are perfect for beautiful little girls and boys this summer. Since Raiden took he's first steps we have always gone for Clarks shoes. Raiden is an avid fan of there doodles range and prefers them to anything else. Ive always found the quality is worth the bit extra you pay, even with a very active boy they still last pretty well. To see the collection in all its glory pop in to your nearest store. Olly the Little White Van, the hit children’s animated TV series on CiTV, has launched its first app for iPhones and IPads. The brand new Olly the Little White Van app features the adventures of a friendly, helpful, eager-to-please little van, lots of his friends around Bumpton Village and his driver Stan. In this fun and exciting new app, Olly helps his friends to deliver important packages in and around the town. The app features two games – Delivery race: Help Olly pick-up and deliver packages around a maze in three different locations and Fix It: Olly’s friends have broken down, help Olly put them back together fitting their parts into the right places. 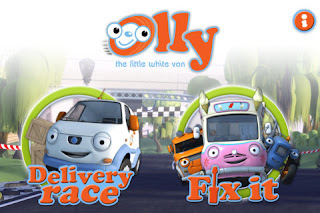 Olly the Little White Van airs weekdays on CiTV at 9.45am and 1pm. Earn your walking stripes with Schleich during Walk to School Week! To celebrate National Walk to School Week (21st – 26th May), Schleich is giving families an extra incentive to get active by offering the chance to win hundreds of beautifully hand-painted zebra figures. Research has found that only 50% of primary and 38% of secondary school pupils walk to school compared to a massive 92% of pensioners who said that they walked to school when they were children. With this in mind Schleich will support the National Walk to School Week campaign by getting children to ‘earn their walking stripes’ all week. Zebras make the perfect mascots for the campaign, as not only are their distinctive stripes used on Zebra Crossings to keep kids safe, the animals are also keen walkers themselves, with their foals learning to walk just an hour after being born! To help kids celebrate Walk to School Week, Schleich is offering the chance for them to earn their walking stripes. 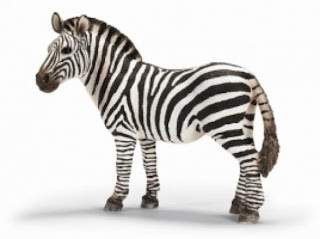 There are two ways to do this – either send in a picture of your child walking to school or click here to download and print off a Schleich Zebra colouring sheet and send it back us. All children will receive a certificate and the first 100 entrants will receive a Schleich Zebra figure. A selection of our favourite images will also be displayed on our Walk to School Week wall. Let us know if your child enjoys walking to school this week! Will the rain stop you walking? 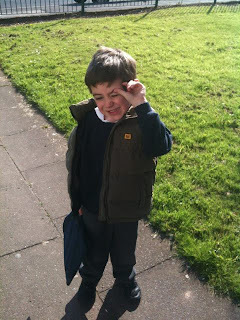 Do you stop your child walking to school for any reason? Colouring entries to be sent to the following address before the 8th June, Schleich Walk to School Week UKMums.tv The Abbey Centre Market Square Daventry NN11 4XG Photos of your child walking to school (along with your name, their name and age) should be sent to ‘Admin@ukmums.tv ’ with the subject ‘Walk to School Week Entry’ before 1st June 2012. 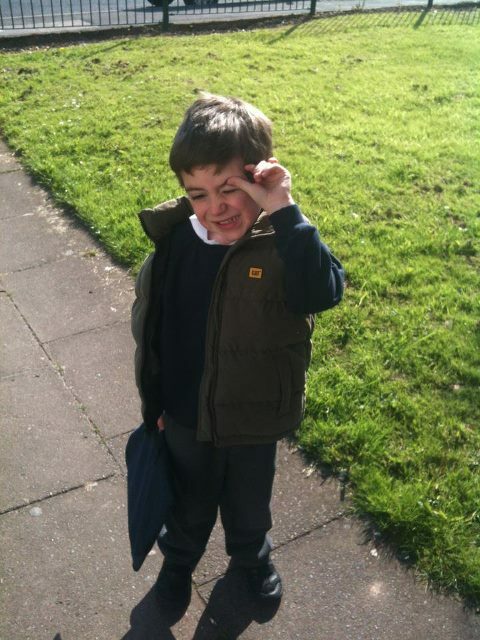 Here was my little dude walking to school this morning looking rather shy! 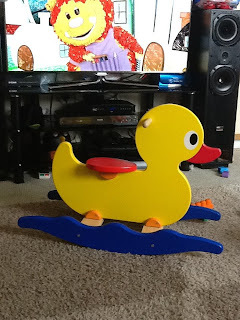 We were absolutely thrilled to be given the opportunity to test out the John crane rocking duck via Blogmatch. The box that it came was huge, I think I could of fitted in it myself! I unwrapped the duck to find it already assessmed, so no flat pack & no losing any bits while your trying to build it, which is a great bonus for me as i am not very good with building. The wood is solid and its pretty sturdy too. I love wooden toys, there really good for wear and tear and last absolutely ages! Lexie was fast asleep when it came so she got quite a surprise when she woke up. The first thing she did was run up and kiss it! The duck is pretty big and very colourful its definitely a head turner, the rocking motion isn't to to fast either its just the right speed so she wont go flying off it. Lexie absolutely loves her new toy and there will be lots of happy hours to come playing with it! Thank you to John Crane Toys & Blogmatch for giving me a chance review. Please follow John Crane's Facebook page HERE & Twitter HERE So you can keep up to date with new products, special offers and fantastic competitions. I'm pretty familiar with the brand Brio, a lot of my workplaces have had the toys! With them being wood they last longer. I have always been a massive fan of wooden toys. We was sent a beautiful wooden Brio duck. Lexie was fast asleep when I opened it so I had a little play and left it on the mat until she woke. When she finally did wake from her nap she spotted it straight away and picked it up. As you pull it along it nods its head, flaps its wings and makes a quacking sound as you pull it Lexie was in hysterics laughing. It is made for ages 19m+, Lexie has just turned 12mths, but I think as soon as the child is walking its suitable. Although sometimes she's so fast Mr duck, ends up on he's side. As the wood is durable and strong, he's escaped without a scratch so far. When Raiden came home he was the first the run around pulling it while little Lexie was running after it. It was actually like a scene from Tom & Jerry. She is absolutely loving the duck its been out and played with since she got it everyday without fail. Such a simple but well made and cute toy. 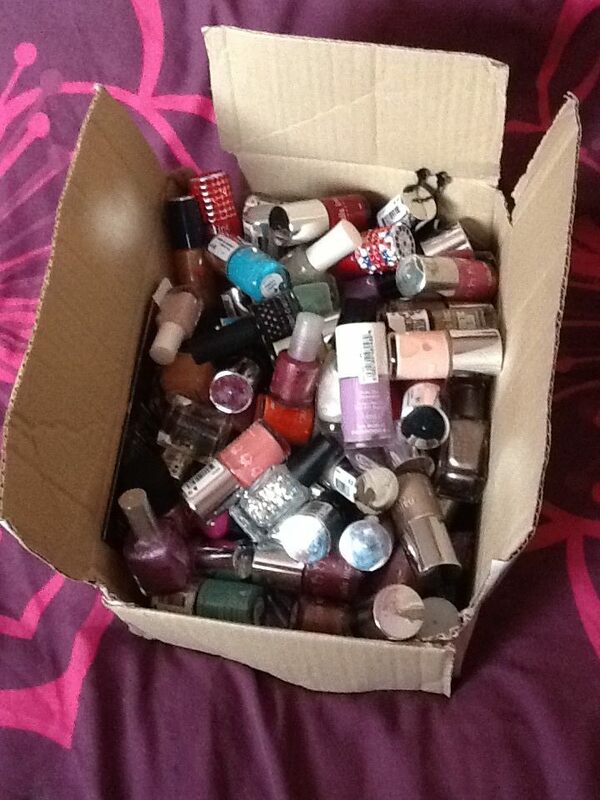 Me A Nail Polish Addict......Nooooooo!! 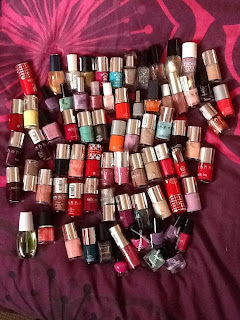 OK I think I need to admit I'm a nail polish addict! I seriously only stopped biting my nails around 6 years ago, I used to hate my stumpy nails. Ever since I've stopped I've been hooked on the pretty sparkly stuff! I'm a massive Nails Inc fan, nothing beats it! I remember my other half coming home with some freebies off a magazine and OMG I was hooked! I love my collection and I'm totally in love with the bling-tastic lids. My Other half treated me to the new limited edition Jubilee and it's so amazingly pretty, I've had so many comments, it was defiantly worth the price tag. First off is the Malibu collection, my two favourtive things combined together, total winner! little miss splendid green, totally amazing pearly effect. dairy milk bliss, this is a great neural colour goes with everything. 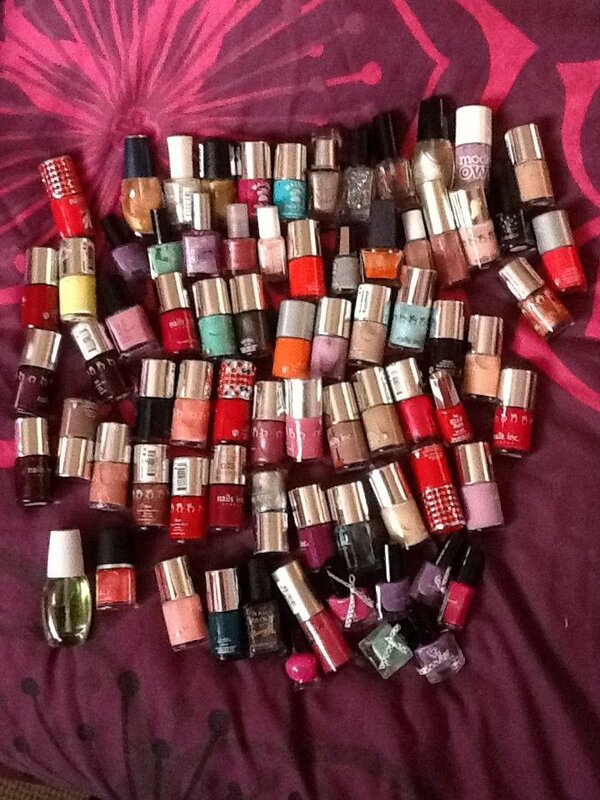 So there you go... Am i an addict??? Even though there isn't a massive age gap between the kids, I often struggle with things they can both watch. Lexie enjoys mickey mouse clubhouse & Mr Tumble, which Raiden hates! Raiden enjoys things like Mr bean, scooby doo etc. but they both enjoy music I was asked to review some music DVDs! So I thought great, but I bet one likes it and not the other! The DVDs came and they are all nursery rhyme songs, I've sung nursery rhymes to them. since since they was little babies! I love action rhymes, I think it's hugely important to read and sing to children. After all there brains are little sponges soaking up everything! Meet the boys and girls as they sing and dance their way through 20 favourite songs on this great new Children's DVD. Join Tony and the kids on a train, on a farm, down on the building site, on the beach and much more. Children will love the brilliant songs and will enjoy watching all the fun & games! 1. The wheels on the bus 2. Going to the zoo 3. Captain Pugwash/Sailor's hornpipe 4. Oh I do like to be beside the seaside 5. If you're happy and you know it 6. The Grand Old Duke of York 7. One man went to mow 8. Miss Polly had a dolly 9. She sells sea shells 10. I hear thunder 11. Humpty dumpty 12. If you take a piece of wood 13. The big ship sails through the alley alley o 14. London Bridge is falling down 15. Heads shoulders knees and toes 16. You are my sunshine 17. Dingle dangle scarecrow 18. London's burning 19. How much is that doggie in the window 20. Jelly on the plate. They're back! !....There's more of Tony and the boys and girls to enjoy as they sing and dance their way through 16 favourite songs on this great new children's DVD. Children will love the music and will enjoy watching and joining in with all the fun and dancing. There is also a great special features section where you meet the kids, enjoy funny outtakes and see how the kids progressed from rehearsal to filming. 1. Twinkle twinkle little star 2. When Goldilocks went to the house of the bears 3. Five little monkeys bouncing on the bed 4. Song Twisters 5. Round and round the garden 6. Bicycle made for two (Daisy, Daisy) 7. Wind the bobbin up 8. Here we go round the mulberry bush 9. Hop little bunnies 10. Incy wincy spider 11. John Brown's Baby 12. The farmer's in his den 13. ABC song 14. One finger one thumb keep moving 15. Ring a ring of roses BONUS TRACK 16. Happy Birthday PLUS an additional special features section. Ive got to admit I've been gobsmacked by the reaction to both kids, considering Raidens five and Lexie's one, they both really enjoy the DVD's so much. Its great seeing them play and dance together ( its quite heart melting really) Its got to the stage where Raiden is asking for the DVDs on before school, which I'm hoping will burn off some morning energy and help with he's behaviour. I think i will be buying a few more of these when i get payed there are a few more titles, that have caught my eye on the website. As you all know I've recently converted to cloth nappies. I've got to admit the process has been very overwhelming, Ive got confused with the amount of different brands on the market, along with the huge range of prices. I wish I knew what I do now when I was pregnant. The initial cost for me at the moment too has put a strain on my budget, that's why I decided to send a few emails to see if I could get any help. I was worried about wasting my money on the wrong nappies, I would love to test every brand but ATM my budget won't let me. My first email back was from a lovely lady at Itti Bitti, who was very nice and sent me an Itti Bitti and a Ones & Twos for me too test out. So i only had to wait a few days for my fluffy post to arrive. 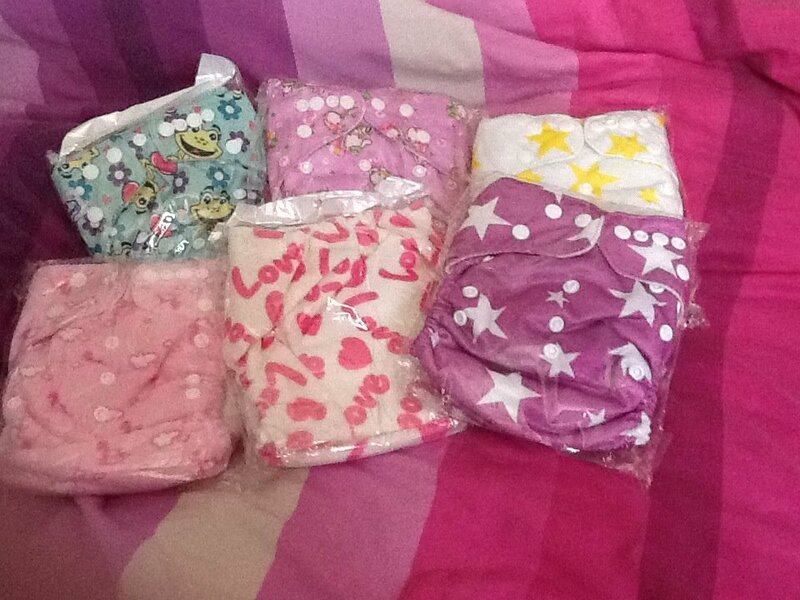 My second email was from a lovely lady at Fuzzibunz, I got sent a gorgeous apple OneSizeElite nappy. The nappy is pretty light, big and roomy compared to my other nappies. it has the extra insert that you pop in the pocket. The poppers I had to take in an extra one to make it a snug fit on Lexie. It's great to put on with leggings as it doesn't give Lexie the big bum look. great absorbency and very quick to dry. Fuzzibunz have a great selection of block colours along with a a few limited edition prints too. Which im loving the new strawberry delight print. 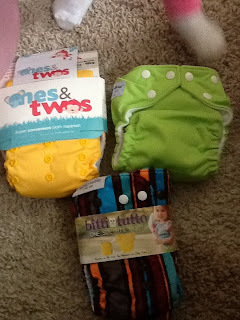 Ive been pretty impressed with all three of the nappies, they have all been better i think than the current brands I've been using on my daughter. With all my nappies I do a pre-rinse then, on a 30c cycle with my soap nuts, then I dry on an airier! I want to say a massive Thank you for the emails back. Its opened my eyes to the difference in nappies. I don't think there's anything worse than being out and about and bamn the dummy gets throw out the pushchair, then your little one screaming the place down because they want it back and you can't give it back as its been on the floor. Milton have come up with a fantastic new mini Portable Soother Steriliser which sterilises dummies on the go in ONLY 15 minutes. Before leaving home, simply fill the Milton Mini with cold water and add one Milton Mini Sterilising Tablet. ( comes with 10 tablets) The unique sponges inside the Mini absorb the solution to avoid spills as well as helping remove dirt from the teat. So when you stuck, pop the soother in the tub, replace the watertight lid and after only 15 minutes the soother is sterilised and ready to use straight away with no need to rinse. You can reuse the same solution thought out the day too. It comes with a handy adjustable strap that you can attach to your buggy/ change bag so you can make sure you always have a sterilised soother to hand. I think it's a great idea and great to have handy if you don't want to carry loads of soother around, or even to have for a trip away. RRP is £6.99 and the mini steriliser comes in three colours, blue, green and purple. When i used to think cloth nappies, i thought hard work but its actually easier than you think. OK it is slightly harder than rolling and chucking a disposable but its not as hard as you think! Speaking to my mom about cloth nappies and she said i was forever soaking in bleach or boiling your nappies in the pan, then they would be a mountain of white terries drying on the line! So where do you start? There is so much choice around. I think its a gamble and if you are able to them shop around and get a feel for different brands. I store used nappies them in a bucket with a lid, until they are ready to wash, I've used flushable liners so if Lexie has done a poo its gonna most of it. Some of my friends use a waterproof wet bag to store dirty nappies in too. I normally pull the insert out too and pop it in the bucket, so when its in the machine it gets a good clean. I'm a soap nut user so i pop my dirty nappies in the wash, add my bag of soap nuts. Put on a cold rinse then on a 30% wash cycle. If you using Use non-biological washing powder. You will only need a very small amount of washing powder ,. Using too much can make your reusable nappies stiff and the build up of residue may lead to smelly nappies and nappy rash too. You should avoid fabric conditioner when washing real nappies, as this can affect the absorbency of them. Line drying: the cheapest and most environmentally friendly option is to dry nappies on the line. This will maximise the life of your reusable nappies, while the sunshine is a great way of getting out stains too. Make sure they are completely dry before putting away, i store mine in a big box at the moment, which I'm hoping to change to a three pull out drawer. We was lucky to be given the opportunity to test out one of the new playsets from mike the knight. We always catch him on cbeebies in the mornings, as Raiden seems to be a huge fan now. 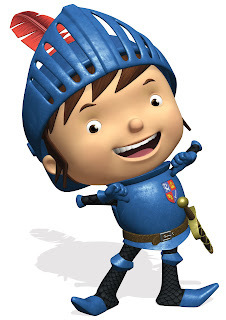 Top new Pre-school TV show Mike the Knight now comes to life off-screen with this great new toy range from Character Options. 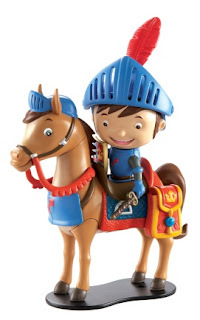 Figures, playsets and accessories, plush and role play all depict the Medieval World of Mike the Knight. The must-have of the range will be Deluxe Glendragon Playset, a two-tiered tower that has a bedroom in the turret complete with secret slide to the lower floor stable where Mike can straddle his trusty steed Galahad. 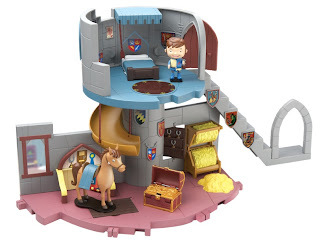 The Playset has many secret hidden treasure features and Pre-schoolers will love recreating their favourite scenes from the show, as well as creating their own imaginative stories. 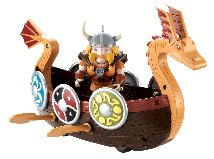 There are also scaled action figures, battle accessories and playsets to collect including Hairy Harry’s Horse Stop for Mike to take Galahad to and make sure he looks his best, a Glendragon Arena for jousting competitions and a Viking Longboat with unique multi-oar rowing action. For a softer take on the range, there’s a Mike the Knight and a Sparkie plush with theme tune & phrases from the show, both with highly detailed finishing and cute looks! We got sent the fab Hairy Harry’s Horse Stop. Raiden is a massive fan of figures, he was thrilled to find it waiting for him when he got home. The playset came with Mike the knight, a horse, the horse stop and a bowl. There is pieces you can move around and spin to make it entertaining and pretend to wash the horse. The playset is very sturdy and does look like it will break easy, great for children that have rough and tumble play with there toys. Raiden loved the playset and spent a long time playing with it getting other figures to come and play too.